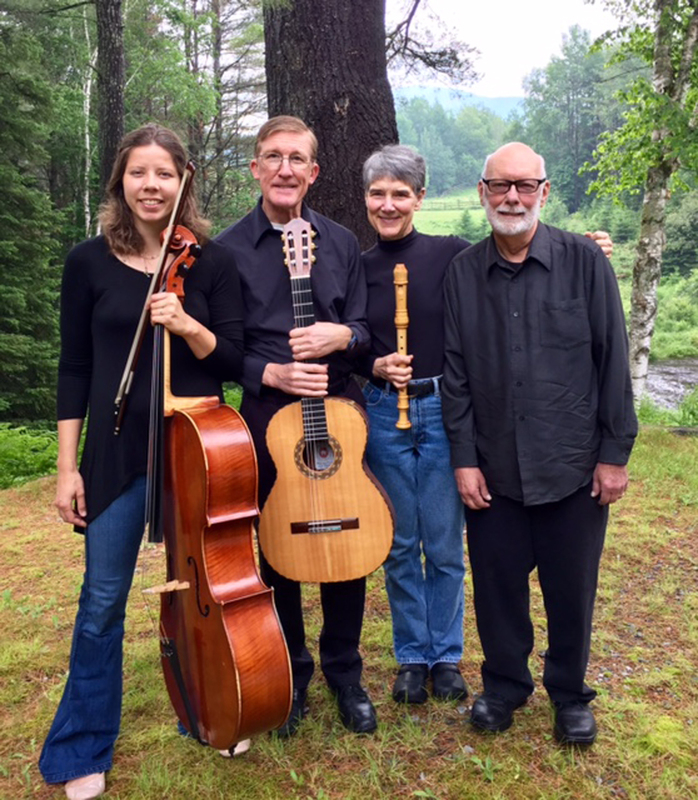 On August 24th at 7pm Join the McCarthy Family for a concert at the Raquette Lake School. The McCarthy Family is a singing group that specializes in three-part-vocal harmony renditions of folk favorites from both the United States & Ireland. The trio features American treasures such as Stephen Foster’s, Hard Times; and Henry Clay Work’s, My Grandfather’s Clock; as well as more modern favorites by Woodie Guthrie, Pete Seeger, Bob Dylan and others. Traditional songs from Deirdre’s native Ireland are also featured. Deirdre has brought the lively, lilting musical culture of her native land to audiences here in America with traditional songs sung in English such as, I’ll Tell Me Ma, She Moved Through the Fair, and Molly Malone, as well as haunting songs sung in the ancient language of her homeland, Irish Gaelic. 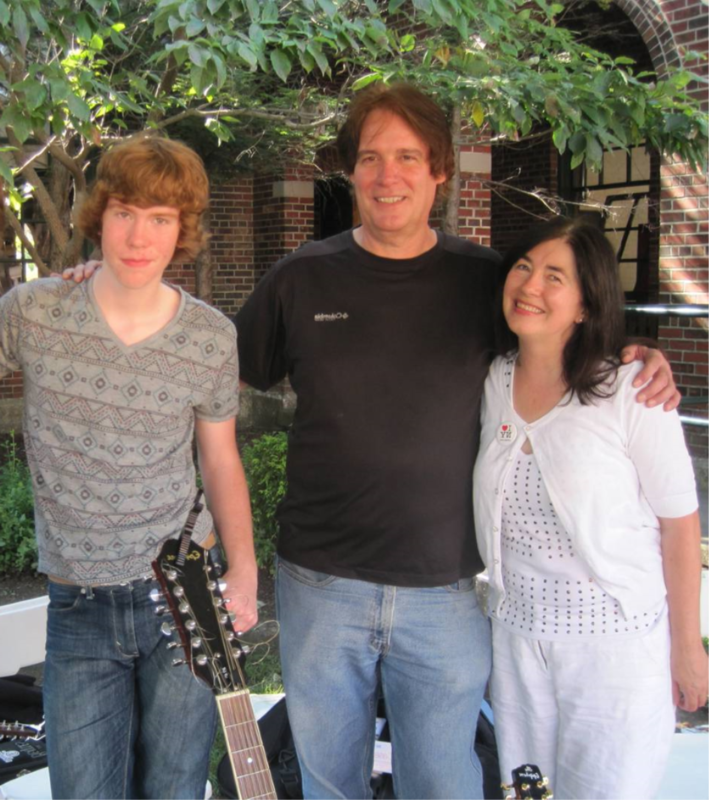 With their unique blend of Irish and American cultures, it is the McCarthy Family’s wish to give each audience a concert experience that is highly entertaining and richly educational. Frank Jacobson, harpsichord and organ; Lynn Waickman, recorders; Esther Rogers Baker, cello; and Steve Lester, guitar, will perform in concert at the United Methodist Church in Long Lake on Thursday, August 24 at 7:30 p.m. They will play Early Music. Frank Jacobson studied organ, choral conducting, church music, and musicology at the Eastman School of Music in Rochester, NY. Mr. Jacobson joined the faculty of Princeton Day School in 1967 as Chair of the Music Department and served until his retirement in 2004. He was director of the school’s Concert Choir, Madrigal Singers, Orchestra, and Jazz Ensemble. 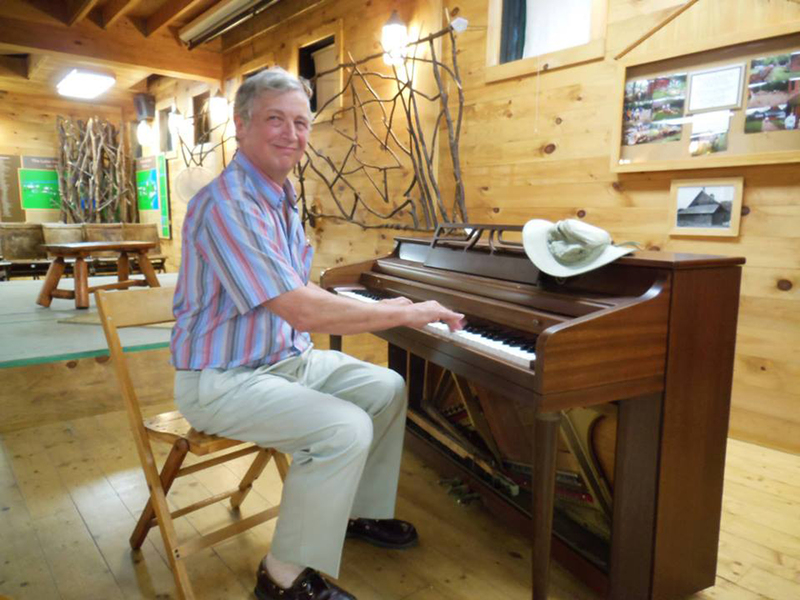 He has been a Fellow of the Rutgers Athenaeum for Early Music and harpsichordist with the Newtown, PA, Chamber Orchestra and Voices Chorale of Princeton. He is currently Organist/Choir Director at the Episcopal Church of St. Luke the Beloved Physician in Saranac Lake, NY. Mr. Jacobson has played with the Bar Harbor Festival String Orchestra as soloist and continuo player since 1989. He and his wife, Jan, live in Long Lake. Lynn Waickman studied music history at the University of Iowa. A career home educator, she was forced into retirement when her youngest child left for college. She was director of the Waickman Family Band, The Homeschool Ensemble, and has performed throughout Northern New York and Quebec with multiple ensembles. Now a proud grandmother, Ms. Waickman lives in Ray Brook with her husband and continues to enjoy writing music programs and playing with friends. Esther Rogers Baker began playing cello at age six. She earned a Bachelor of Music degree from the Hartt School, University of Hartford, and a Master of Chamber Music degree from San Francisco Conservatory of Music. She loves to play experimental and contemporary music, as well as Bach and traditional chamber music. Ms Baker works as a freelance cellist, teaches cello and chamber music, and guides group composition as a teacher/facilitator. She moved to Saranac Lake with her husband in 2014. Steve Lester has fused a large variety of musical passions and influences into an instrumental guitar approach uniquely satisfying and entertaining. As a 22-year veteran of the U.S. Army bands he has also shared his talents around the world from Russia to Korea. He now lives in Lake Placid, NY, and is owner/operator of Lake Placid Music, a full service music outlet that offers instruments, repairs, accessories, and private instruction. This project is made possible, in part, with funds from the Decentralization Program, a regrant program of the New York State Council on the Arts with the support of Governor Andrew Cuomo and the New York State Legislature and is administered by the Adirondack Lakes Center for the Arts. Funding is also provided by the Long Lake Lions Club and Stewart’s Shops. 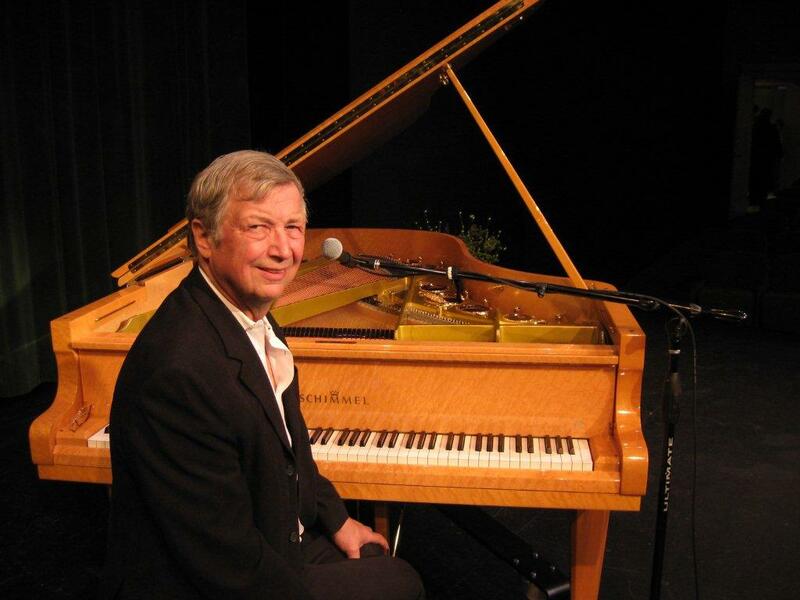 The Town of Long Lake will host a performance by ragtime virtuoso Bob Milne on Friday, August 25th 7:30 p.m. performance at the Long Lake Town Hall, 1204 Main Street, Long Lake, NY. General admission at $12 a ticket. Milne interlaces his performances with tidbits on the history and technique of ragtime and boogie woogie piano showcasing a unique American art form. He has performed for President George H. W. Bush. In an interview with Jennifer Cutting at the Library of Congress, Milne described the technique he learned came from watching someone play billiards and how effortless they made it look. He earned a music degree in French horn performance at the Eastman School of Music and taught himself to play piano completely by ear. From playing night after night in bars and clubs, Milne progressed to the concert stage. Known as a “Ragtimist” (a term he coined), Milne acquired both a vast repertoire of tunes and extensive knowledge of their origins. These histories and the stories of the piano players who were playing them are anecdotally incorporated into Milne’s presentations. Milne has produced 11 solo piano recordings to date. He has also composed more than 40 works for multiple instruments including piano, trumpet, flute and violin. Bob Milne is a well-established Long Lake favorite. General Admission is $12. To purchase tickets in advance, visit the Long Lake Town Offices, 1130 Deerland Road, Long Lake, NY Monday through Friday 9 a.m. to 4 p.m. Tickets will also be available at the door. This is a general admission event. 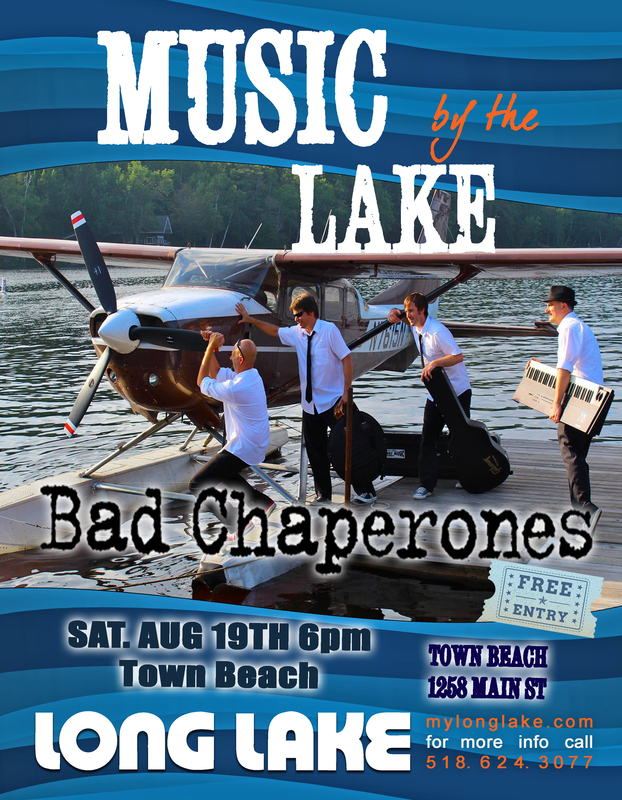 On Saturday, August 19th The Bad Chaperones return to the Long Lake Town Beach Stage from 6 p.m. to 9 p.m. The Bad Chaperones have played the Long Lake 4th of July event for several summers and return this August for a full-blown concert for the final Music by the Lake installment. The Bad Chaperones hail from the Saratoga/Albany region. 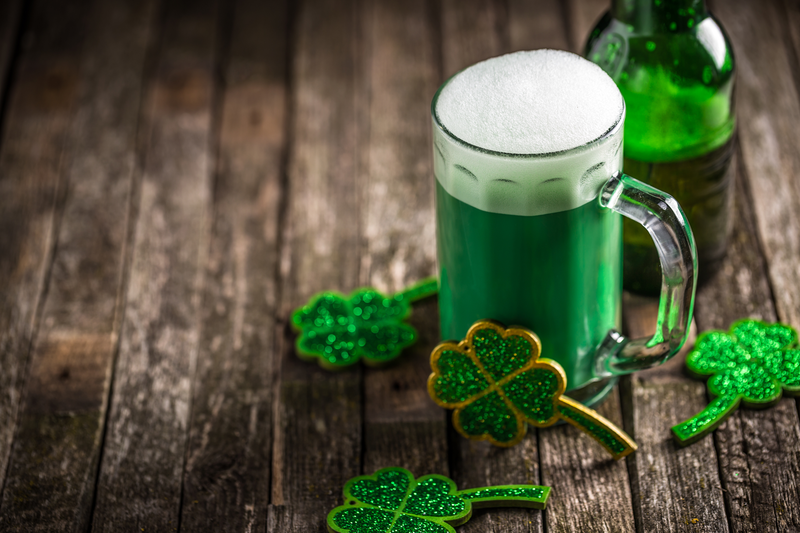 They’ve performed at The Horseshoe Inn, Siros, Caroline Street Pub, Prime at Saratoga National, Dango’s, Gaffney’s, Ice House, Harvey’s, Graney’s Stout, The Barrel Saloon, and in Sharon Springs as well as University of Albany, Sienna College, Hall of Springs, FORD, GE, and Glen Sanders Mansion. Their music features a mix of pop and rock, danceable hits from the 90’s through today featuring pop and rock. Their upbeat vibe, danceable music and family friendly atmosphere make this an ideal event for the whole family. Parking is available at the Long Lake Municipal lot at 1179 Main Street, Long Lake Town Hall or Long Lake Central School. Food will be sold on site for both events by Long Lake’s Fat River Foods featuring grilled sausage and pepper sandwiches, steak sandwiches, quesadilla’s and summer specials to be announced. So it does happen, not every day can be 85, sunny, windless and beautiful (even though we do love those days for hiking, biking, boating, fishing and Stand Up Paddle Boarding and swimming) So if it rains and you’re feeling a little cooped up, we’ve cooked up some ideas on how to answer the question.. What to do, what to do? Plenty! Our knowledgeable Town of Long Lake Office Staff volunteered suggestions and here goes some favorites…. Steph Hample is Long Lake’s Events Coordinator and she is always creative, especially since she has two active children who keep her busy in addition to her duties for the Town of Long Lake. What to do with little kids when it is raining? Get puddle hopping. 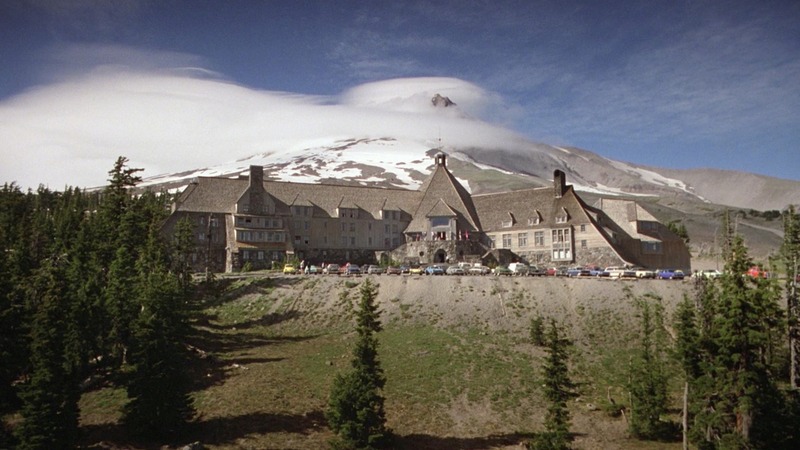 She suggests heading up to the Medical Center Complex/Rescue Squad building and splashing in the puddles. She also says, stop by the LL Transfer Station, pick up cardboard boxes and turn them into cars to watch a movie at your own personal drive-in. 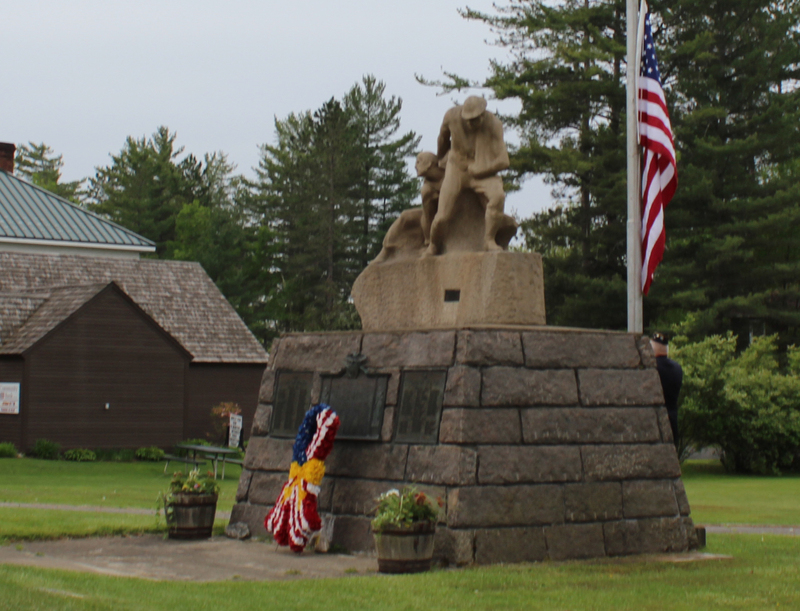 Cynthia Thompson, Long Lake’s Secretary to the Town Supervisor, recommends touring the iconic local hotspots including the Doughboys Statue, located on the school lawn. It was brought to Long Lake in 1959 by Long Lake American Legion members from the estate of C V Whitney on Long Island, sculpted by his mother Gertrude Vanderbilt Whitney. The sculpture is a tribute to those who served in World Wars I,II and the Korean conflict. Fun fact… how is Anderson Cooper related to Gertrude Vanderbilt Whitney and has he ever been to Long Lake? (No idea, but you can ask this when visiting this statue, or try googling!) Cynthia also recommends stopping by the Buttercup which is located behind the Long Lake Town Offices at 1130 Deerland Road. 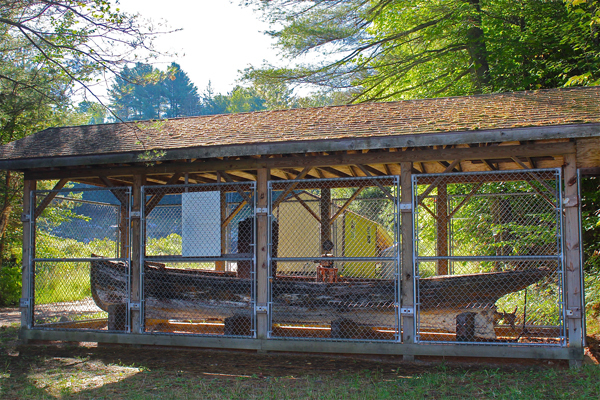 This boat has a storied history involving a sinking, Long Lake guides and a recovery and you can read about when you visit. Abbie Verner is the Long Lake Archivist. She recommends a trip to Raquette Lake and a tour of Great Camp Sagamore coupled with a boat excursion aboard the WW Durant. It may be raining, but there is an indoor dining area and Captain Dean Pohl narrates this tour with historic facts, and local lore. 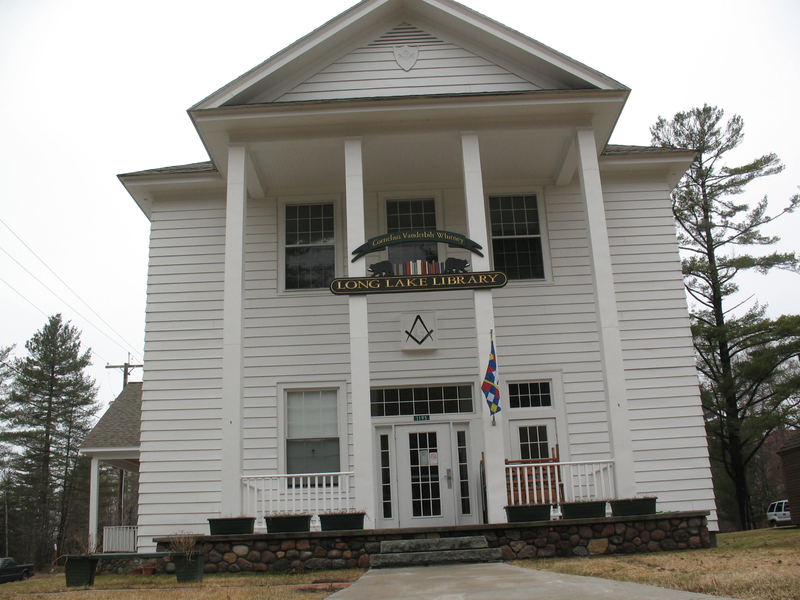 Abbie also recommends the Long Lake Library for local art exhibits, information about the area, computer access and a newly installed mural celebrating Long Lake and painted by six local artists. The Adirondack Interpretive Center in Newcomb has an exhibit room off the lobby, staff are always available to ask questions and it’s only fifteen minutes away from Long Lake. If the rain lets up you can even explore the nature trails around the building. Dixie LeBlanc, Long Lake’s own Town Clerk and former operator of Camp Hilary, agrees with Abbie’s suggestion and suggests stopping by the library, get a couple of books or movies, take ‘em home to entertain the crew of summer visitors or …hide quietly in a comfy chair and read, far away from the chaos at camp. Colleen King our town bookkeeper, aka the lion tamer, offers fun suggestions for those who are willing to hop in the car for a short excursion north twenty five minutes along route 30. Colleen lives in Tupper Lake full time, and while she and her husband both work in Long Lake and love it, they always remind me that Tupper has great activities too! 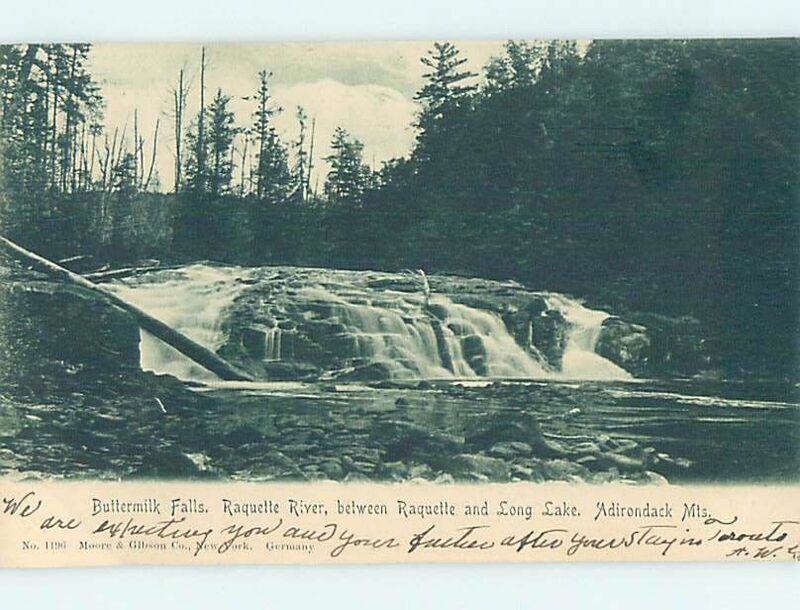 Not only is it a beautiful drive, she recommends hitting the Adirondack State Theater to catch a movie, shopping for fun items at the Dollar General or Family Dollar, visit either Rite Aid or Kinney’s Drug store, or go bowling at the Lake View Lanes,1939 NY-30, Tupper Lake, NY 12986, (518) 359-2234. Alex Roalsvig, Director of Parks, Rec & Tourism says head over to Incapahco Art Song Studio and take a class from Louisa Wright. 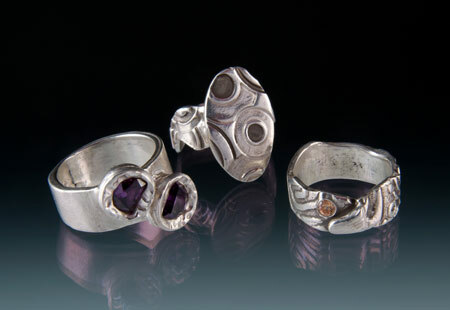 Make jewelry,fairy houses or try your hand at something new, from Collography to Mixed Media art projects. You don’t need any experience and you take a creative project home with you. Another fun thing to do, is to take a scenic drive through town, head all the way down to Kickerville Road, turn around at the former Gatehouse for the Walker Estate and then drive down North Point Road to the bridge at the Raquette Lake Inlet. 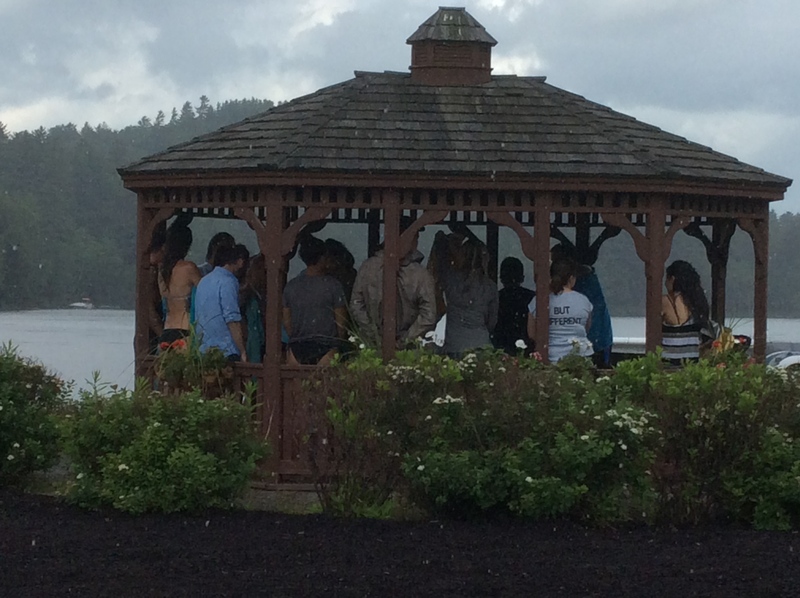 Take your picture and post on the Long Lake FB page, even in the pouring rain! Or make and take an indoor picnic. Pick up your picnic supplies or sandwiches at one of our selection of eateries and eat inside with the lights off and pretend the electricity is out, it makes for more ambience. And there is always the goto Adirondack activities of visiting the Adirondack Museum, The Adk Lakes Center for the Arts or The Wild Center in Tupper as alternative options. Stumped, don’t worry, call our offices at 518-624-3077 or stop by. You can meet all of us and we’ll have more suggestions! Our office is located at 1130 Deerland Road next to Custards Last Stand. 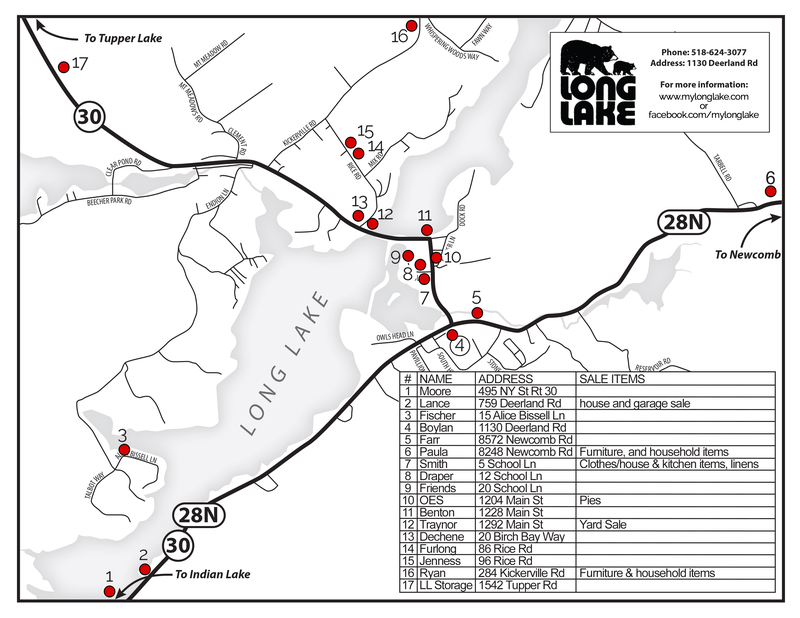 Long Lake Garage Sale Map Available Here Aug 12th & Busiest Day in Raquette Lake! Both Long Lake and Raquette Lake have tons of events going on throughout the weekend and on August 12th. Look for an on-going garage sale to benefit the Raquette Lake Volunteer Fire Department on the Village Green on Saturday morning, August 12th in addition to the Raquette Lake library book sale 10am and Juried Arts and Craft Festival at the RL Free Union School starting at 10am. 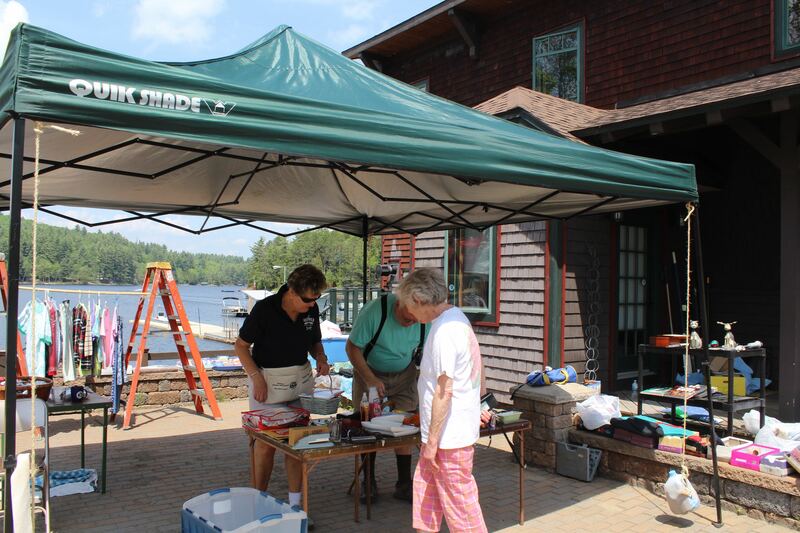 The Long Lake Town-Wide Garage Sale boasts 17 sales throughout the community and runs from 9am until 3pm. No early birds please! Look for furniture, kitchen items, clothing, antiques, books and so much more. Pop into My Sister’s Attic for great deals on gently used items too! Pie Sale will be at the Long Lake Town Hall starting at 9am until they run out! They sell out early! 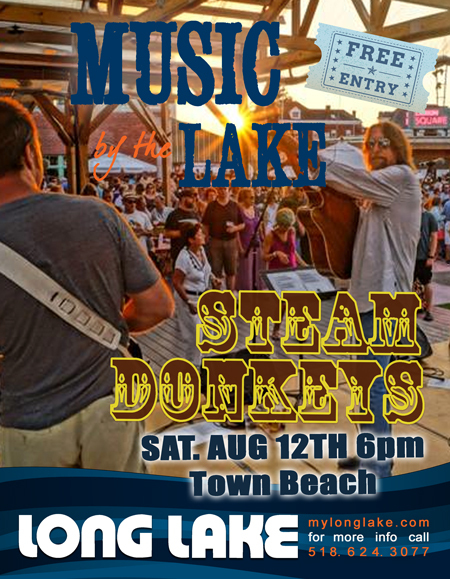 The Steam Donkey’s from Buffalo, NY will be performing a FREE concert at the Long Lake Town Hall from 6pm until 9pm. This is a venue change back to the Town Hall from the Beach due to 50% chance of storms at 6pm. Walk ins are welcome and FREE! It’s a Honky Tonk, hoot and holler, fun fest of country, americana, grist mill swing and snorting good time. Get your dancing shoes and cowboy hats on and enjoy the show. There will not be refreshments sold on site (sorry, the weather messes everything up!) Bring your own socks and snacks! 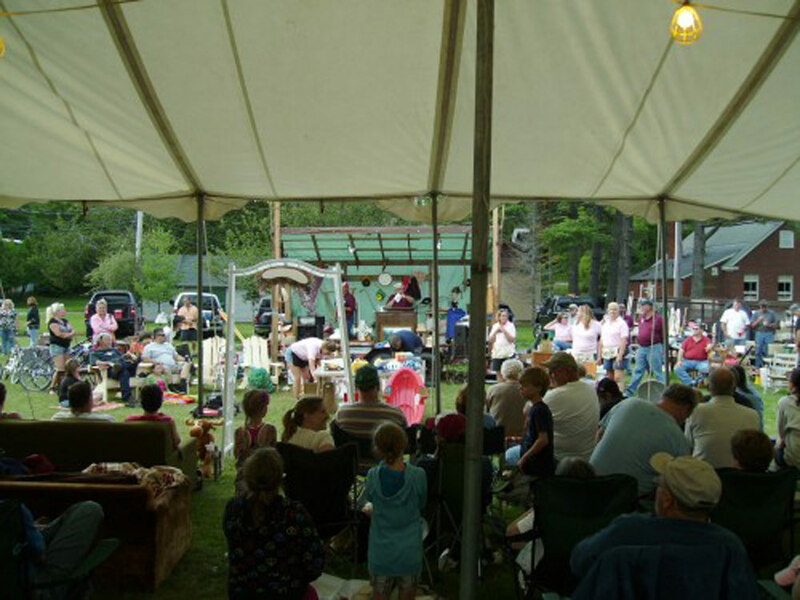 At 6pm in Raquette Lake the infamous Fire Department Auction gets underway on the Village Green with TWO Auctioneers! With an incredible amount of great items to bid on. Please animal owners, leave your pets at home! 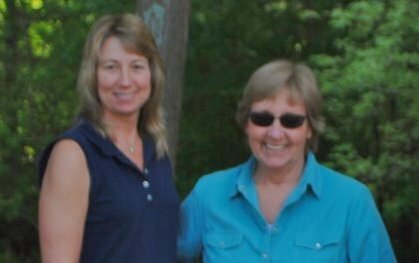 North Country Artists Concert: Judy Garrison and Babbette LeBlanc will perform in concert at the United Methodist Church in Long Lake on Thursday, August 10 at 7:30 p.m. Featuring keyboard, guitar, drums, and vocals, Garrison and LeBlanc will play a variety of soft rock, classic pop, and originals. A native of Long Lake, Judy Garrison graduated from Long Lake Central School. She graduated from SUNY Potsdam’s Crane School of Music and went on to teach public school music for 37 years Ms Garrison lived in the Finger Lakes region for many years where she played oboe in the Finger Lakes Symphony, Finger Lakes Wind Ensemble, and the Greater Rochester Wind Band. She moved back to Long Lake in 1993, and with her husband Dave, created the Garrison/LeBlanc Trio. Formerly, she was the organist at Calvary Methodist Church in Long Lake. Ms Garrison currently plays keyboard with the band Reflections and the Garrison/LeBlanc Duo. Babbette LeBlanc, also from Long Lake, is a pharmacist by profession. Ms LeBlanc plays the drums and guitar and sings with the Garrison-LeBlanc Duo and at many easy-listening and soft rock venues. The concert is free, but donations are appreciated. A reception to meet the artists will follow the program. For more information, call 518 624 2056. This project is made possible, in part, with funds from the Decentralization Program, a regrant program of the New York State Council on the Arts with the support of Governor Andrew Cuomo and the New York State Legislature and is administered by the Adirondack Lakes Center for the Arts Funding is also provided by the Long Lake Lions Club and Stewart’s Shops. 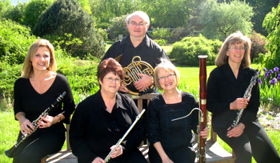 The Lake Effect Winds is a wind quintet from Central New York that has existed for over twenty years. The quintet enjoys finding and performing unique arrangements and original quintet compositions of both a serious and light-hearted nature for trio, quartet & quintet. 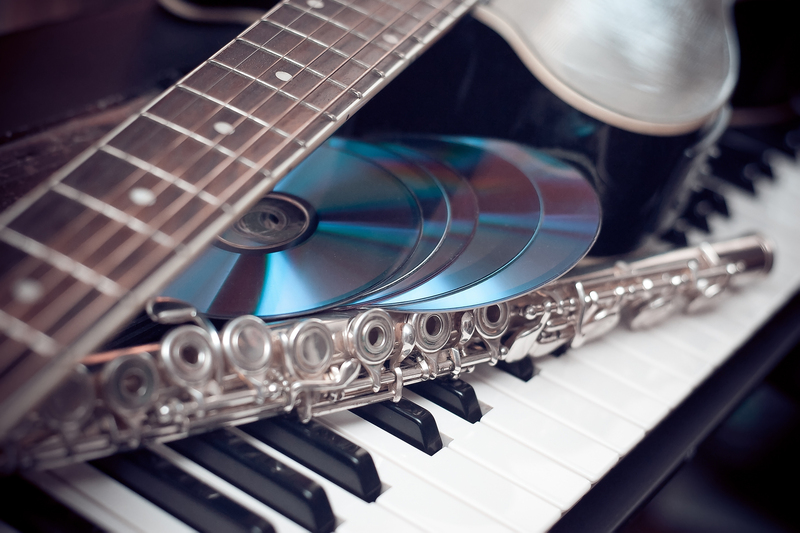 Instruments featured are: flute, oboe, clarinet, French horn, and bassoon. At Raquette Lake we will be performing music for a fun and relaxing summer evening, including pieces by Piazzolla, Jacob, Ligeti, Copeland and others. The Raquette Lake Parents Teachers and Friends will sponsor the 27th annual Arts and Crafts Fair at the Raquette Lake School on Rt. 28 on Saturday, August 12, 2017 from 10:00 a.m. – 4:00 p.m. 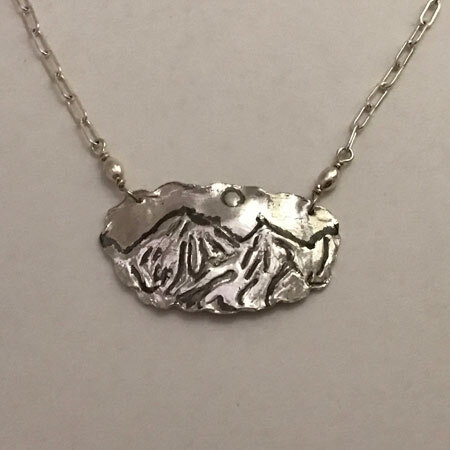 This is a juried show with all items being displayed for sale the work of the exhibitor on site, the majority of whom reside in the Adirondack Park. 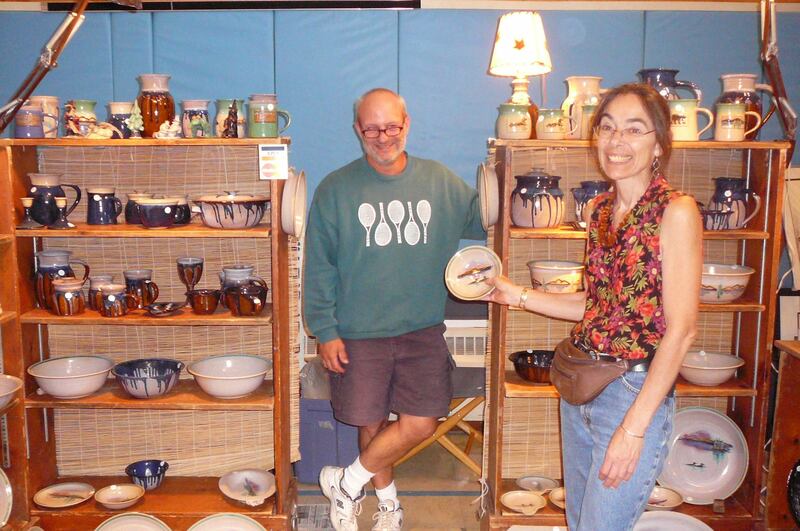 Adirondack artists exhibiting include Fawn Ridge Pottery of Chestertown and South Bay Jewelry of Raquette Lake. Lis Barsuglia-Madsen is back with her hand woven clothing, rugs and accessories. Other exhibitors include Bob Montesano photography and David “R.C.” Oster’s pen and ink drawings of historic buildings and Adirondack scenes. Toni Rudd will be selling her delicious homemade jams and jellies and Carol Milliman-Estes will be selling the famous Milliman homemade fudge. Kent Menges will be displaying his wrought iron work ‘Adironstix’. New to this year’s show is Nancy Pulling Best with her children’s books and Ken Stanton with rustic Adirondack furniture. The Raquette Lake Volunteer Fire Department will hold its annual fundraising auction on Saturday August 12th starting at 6:00 p.m. on the “village green” in Raquette Lake . The yearly event brings together hundreds of items donated by local supporters including boats, restaurant meals, tools, furniture, appliances, donated pizzas and much, much more. This year we will have two auctioneers who will relieve each other when they need a break from the hectic pace. As usual there will be hot dogs sold by our volunteers. In another new addition bidding numbers will be available to those bidders who want to run a tab and provide identification. Because of a large donation of many items by very generous supporter, the Saturday night auction will be preceded on Friday from 8:00 a.m. to 4:00 p.m. and Saturday from 8:00 a.m. to Noon by a yard sale format sale of those donated items. 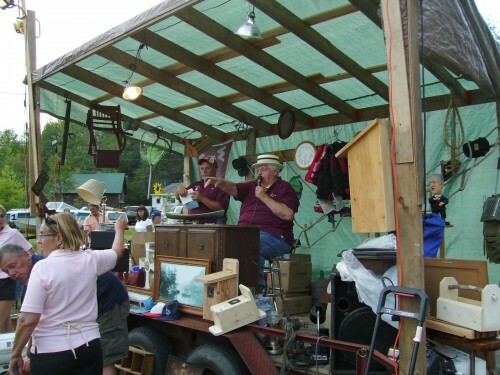 Donations of valuable items for the auction can be delivered to the Raquette Lake village green all day Saturday August 12th or you may leave a message at the Raquette Lake Fire Station by calling 315-354-4644 or by emailing RLFDauction@GMail.COM and describing what you have and where to pick it up. Variable-leaf milfoil will be removed from Long Lake by the Paul Smith’s College Adirondack Watershed Institute (PSCAWI) with funds awarded to PSCAWI by the Environmental Protection Agency through the Great Lakes Restoration Initiative. 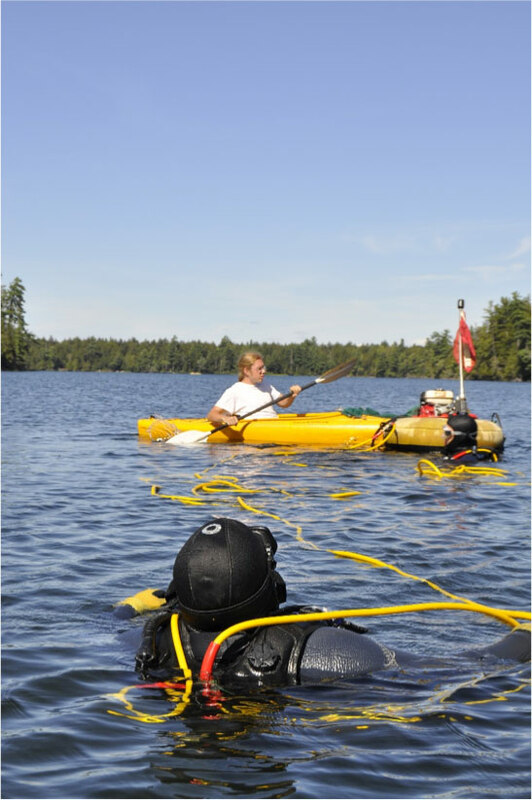 PSCAWI will utilize a five-person control team consisting of four divers and one top-water support person. The divers will remove the milfoil by hand using proven techniques developed by PSCAWI over the last 15 years. The Long Lake Association (LLA), in collaboration with the Town of Long Lake staff, will bring the harvested milfoil to the Long Lake Transfer Station for composting. Pending approval of a permit by the APA, removal will begin on July 10th and will continue for about ten weeks. The control team will return again for ten more weeks in 2018 to complete removal. Our goal is to eradicate this species from Long Lake and to have the lake declared free of aquatic invasive species. By definition, a species is considered eradicated if it is not observed for three years after control ends. Since it is unlikely that we will eradicate variable-leaf milfoil from Long Lake in two years, the LLA has committed to seek funds through grants, fund-raising, and support from the Town of Long Lake to continue the control program in later years. Variable-leaf milfoil was first reported in Long Lake in 2006. This aquatic plant is usually very invasive and as such is ranked very high by New York State as a threat to waterbodies. Variable-leaf milfoil typically forms dense beds that broach the surface, preventing use and enjoyment of large areas of lakes invaded by this species (as is the case in the Fulton Chain and Raquette Lake). Fortunately, though variable-leaf milfoil has been present in Long Lake for at least 11 years, it is not a dominant species nor has it established any beds. We believe this lack of invasive behavior is partly explained by the large fluctuations in water level in Long Lake that provides a natural means to control this species. 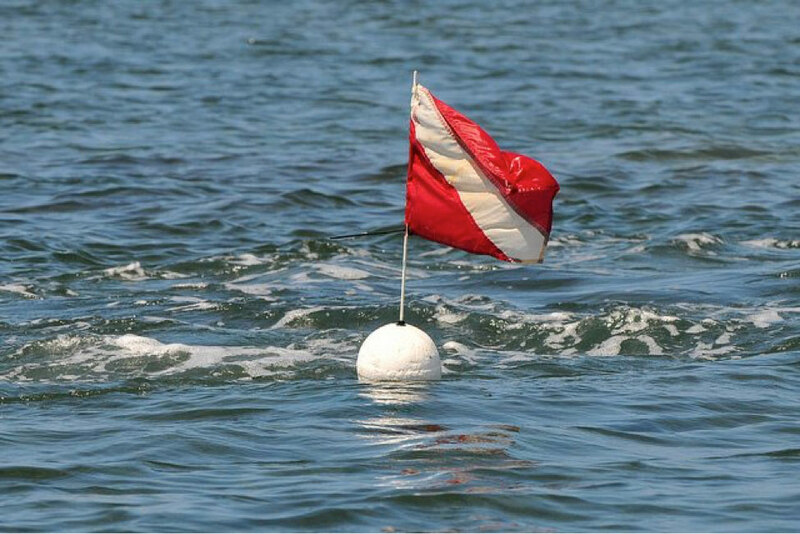 When you are out on the lake this summer, please be on the lookout for diver down flags and stay at least 300 feet away to protect the divers. You are more than welcome to stop and observe the control team in action.